In modern society, people spend most of their time indoors and are exposed to a variety of selected air- and waterborne microorganisms that survive indoors despite sanitation chemicals, hygiene measures and occasional high temperatures. Although public health has focussed on bacteria and viruses, fungi are increasingly recognised as opportunistic infective agents. Past reports on indoor mycobiota have emphasised airborne filamentous fungi, while yeast and tap water as their transmission vector have been little investigated. 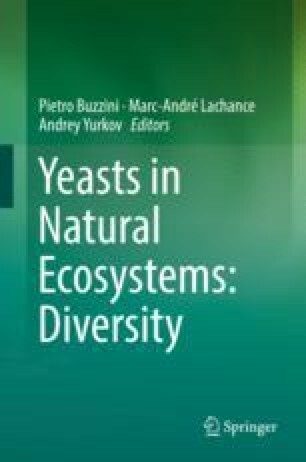 Recent studies of wet indoor niches, like in kitchens and bathrooms, and particularly extreme environments inside household appliances, have revealed a diversity of yeast from the genera Debaryomyces, Meyerozyma, Pichia, Saccharomyces and Yarrowia. While many of these are not considered pathogenic for humans, special concern should be given to commonly isolated opportunistic yeast from the genera Candida, Naganishia and Rhodotorula and the black yeast Aureobasidium and Exophiala. The main characteristics of these yeasts include production of extracellular polysaccharides, degrading of cleaning agents and tolerance to high temperatures, high salt concentrations, and alkaline pH. These selected and enriched yeast species can form biofilms on synthetic and metal materials, where they can come into daily contact with people and pose the risk of infection, especially with immunocompromised people.